Social media, for all its benefits, has allowed all kinds of lies and conspiracy theories to be circulated unchecked. It is therefore not surprising that anti-Semitism, which attracts lies and conspiracy theories like moths to a flame, has flourished in this forum. A false news story published in New Zealand last week has brought some classic anti-Semitism (and new anti-Semitism) to the fore on Facebook. However, the Fairfax/Stuff story still reads as though Israel declared war on New Zealand for sponsoring and voting for the anti-Israel resolution at the United Nations. The misleading title remained unchanged. Furthermore, the article posits an extreme and completely fabricated scenario of a possible cyber attack by Israel on New Zealand’s critical infrastructure. This claim is reckless and irresponsible and has no basis in fact. If it was intended to be satirical, it seems a lot of people missed the joke. 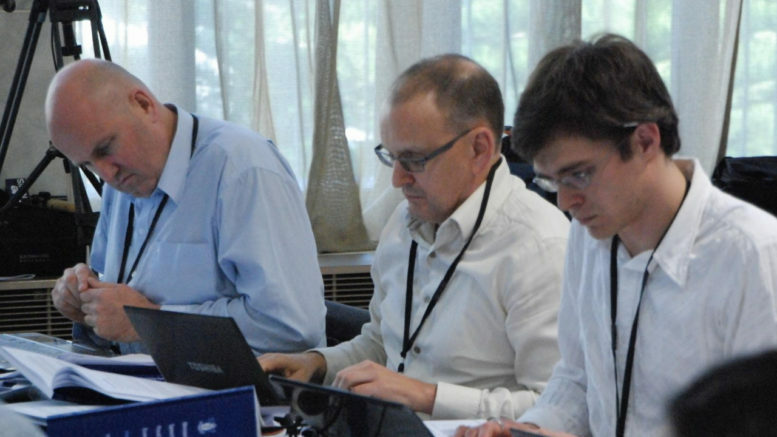 For at least 24 hours the uncorrected version was read by people via Facebook. This prompted an outpouring of anti-Semitic comments, which has made the Jewish community feel especially vulnerable. Once more, anti-Israel libels promote anti-Semitism. Two Facebook pages, in particular, had the most vile comments from users: the official stuff.co.nz page and the Wake-Up-NZ page. However, some of the comments on both sites have gone well beyond simple criticism of Israel, into hate speech. 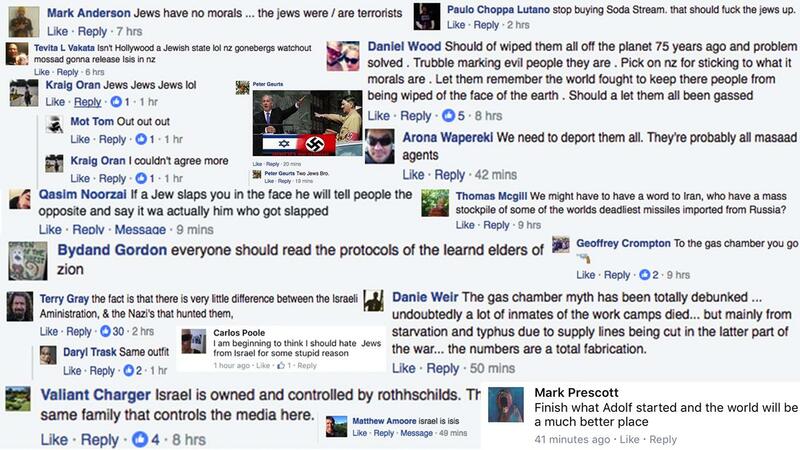 Below is only a sample of those comments, which include Mark Prescott writing “Finish what Adolf started and the world would be a much better place”, Danie Weir positing “The gas chamber myth has been totally debunked…”, Mark Anderson claiming “Jews have no morals … the jews were / are terrorists”, and Daniel Wood giving his opinion that “[The Nazis] Should of wiped them all off the planet 75 years ago and problem solved…”. The Fairfax story might not have ‘almost started a nuclear war’, as the Christmas Eve fake story about Israel and Pakistan threatened to, but the comments on Facebook suggest it has given legitimacy and encouragement to New Zealand anti-Semites. This should serve as a warning to journalists that they should be careful to check sources, report accurately, and not make up fanciful and sensationalist fabrications. Facebook, continuing a well-documented trend of bias against Jews, has responded that the comments reported “do not violate our Community Standards”. If calling for genocide does not violate Facebook’s Community Standards, it is hard to imagine what does. In less than three weeks, New Zealand will commemorate the United Nations International Day of Commemoration in Memory of the Victims of the Holocaust. Comments like those on the false news story are a reminder of just how important such a day is. Hate starts with comments like this.